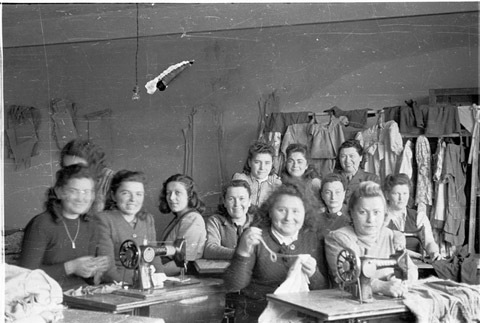 JDC - Archives : The dressmaking class in a JDC supported vocational training program. Title The dressmaking class in a JDC supported vocational training program. Description The dressmaking class at the Fachschule vocational training school supported by JDC.